How does Mozart create relationships between characters through his use of ensembles in Così fan tutte? Watch the clip for 'Eccovi il medico, Signore belle' asking students to listen for how many characters are singing and whether they all sing at the same time. Discuss answers and explain that there are two men together briefly at the beginning, but mainly there are three women, two of whom always sing together, and a man. Play again, listening with this in mind and also encourage to write a list of other adjectives to describe the ensemble e.g. urgent, lively, fast. Does it stay consistent throughout? Explain that ensembles in opera show characters’ relationships with each other: sometimes they sing the same words and music if they are sharing the same thoughts, sometimes they sing at different times and with a different sort of music if they are arguing, sometimes they sing at the same time but with different words and music if they can’t hear each other but the audience can. Send students into groups and ask to write a fantasy narrative of what is happening in the scene they have seen in the video, they should try to address the following questions: Why are two of the men only heard so briefly at the beginning? Why might there be two women singing at once? Why does a woman sing in a funny voice? Why is there a slower-seeming section in the middle? They are not aiming at the correct answer here but trying to find a fun/interesting explanation for all these features. Ask each group to share their answers before explaining the real synopsis at this point. 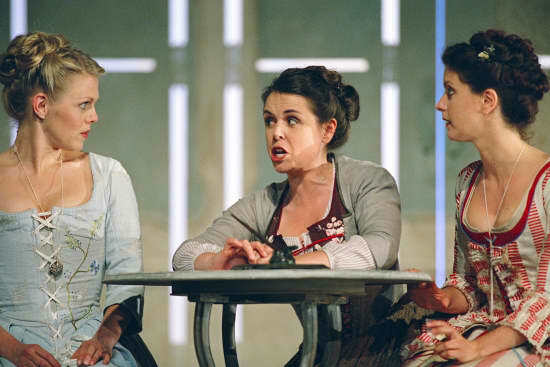 Compare 2 arias from the opera, perhaps 'Come scoglio' for Fiordiligi and 'E amore un ladroncello' for Dorabella, looking at how Mozart’s musical choices paint very different characters. Perhaps using instead or in addition, the arias of The Queen of the Night and Sarastro from Mozart’s The Magic Flute. 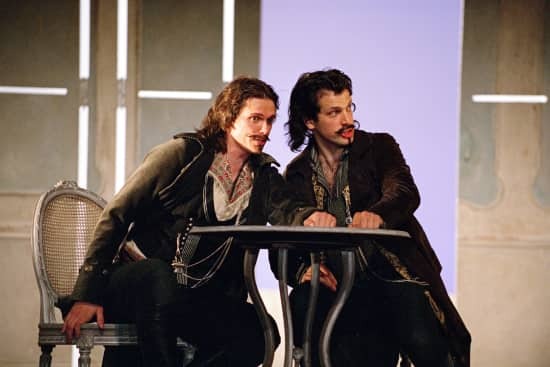 Play the overtures of Così fan tutte and Don Giovanni and compare what sort of drama they set up: flippant comedy versus intense foreboding. Play 'Eccovi il medico' (video on the first slide) followed immediately by 'Di scrivermi ogni giorno giurami'. Ask pupils to listen, considering how many voices are singing and how the different voices seem to relate to each other. 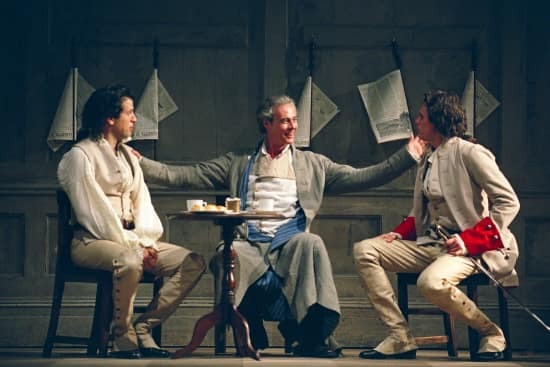 Explain the story at these two moments in the opera and initiate a discussion about how different musical writing for characters in an ensemble can clearly show their agreeing or disagreeing opinions. Using formal musical terminology and with structure and guidance as necessary, ask the class to analyze how the composer’s musical choices make each of the character’s individual feeling and intentions clear addressing features such as: when characters sing either together or apart, fragmenting the text at the start of the second extract, characters moving between syllabic text and more legato phrases. After drawing together thoughts into a class discussion, explain briefly the context of 'Soave sia il vento'. Play it to the class and use as a further comparison, asking the pupils to listen specifically to how all three characters sing together at the start but how Don Alfonso breaks away to his own thoughts at the end. Take the Act 1 Finale as a whole. Divide the class into five, each taking one of the five sections of the Finale. 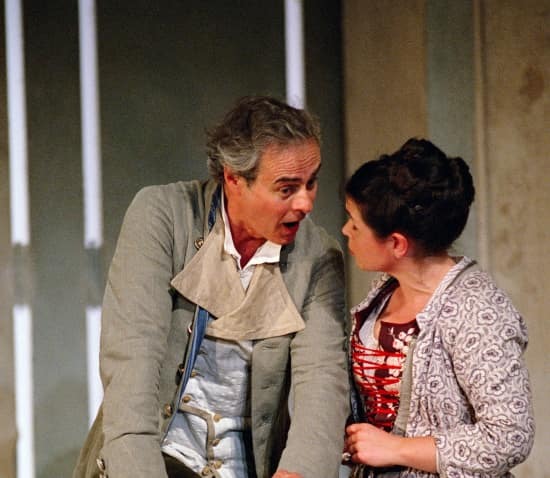 Using vocal scores (easily available online), analyse each section according to the way Mozart makes the plot and relationships between characters clear through clever use of ensemble, before bringing the whole section together as a class. 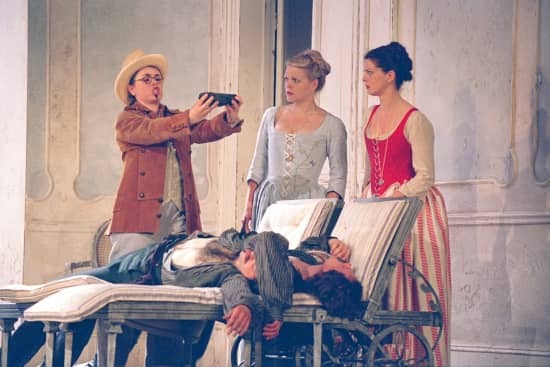 Research the history of the composition of Così fan tutte to include biographical information about Mozart and major plots through the opera. This could be extended to include the concepts of opera seria and opera buffa. Write a short description of a modern day character. In a subsequent lesson, combine with a partner and write a short joint composition trying clearly to show the two different characters through music. Perform to class. Write descriptions of 2 modern characters and a list of all musical elements that might be used best to represent them, similar to the ones here. Compose a short piece to show the relationship and dialogue between these characters, demonstrating clearly distinguishable musical personalities. Ask pupils to look for 'Di Scrivermi' and 'Soave sia il vento' (both videos above). Ask them to write a short description of the singing they hear and see, to include how many singers are involved and whether they sing together or apart. Research the duet 'Fra gli amplessi' discovering the plot and characters involved. After your research, write an account of how Mozart uses music to represent the changing relationship between the characters.